I started reading this blog after it came up first for several Google searches on certain Korean foods in Sinchon. It also has great guides for cafes and restaurants all over Korea and other places in the world. Run by two bloggers: Lacrymamosa is your go-to-food guide if you're studying abroad at Yonsei or Ewha. Though it's not a complete list (I don't think that exists) there are some really great suggestions for all types of must try foods in Korea, such as a traditional tea house in insadong, Shabu Shabu and Jimdak. The photos are all breath takingly delicious with clear directions on how to get there. Now the interesting connection I have with this blog is that a friend I made at Yonsei, who was also on exchange, showed me her friends' blog one day and it turned out to be this one! I was so excited it felt like you knew someone who knew a celebrity you know? So yeah I'm 2 degrees of separation away from these awesome girls. They're such an inspiration, I'm sad I didn't have a chance to meet them in person. 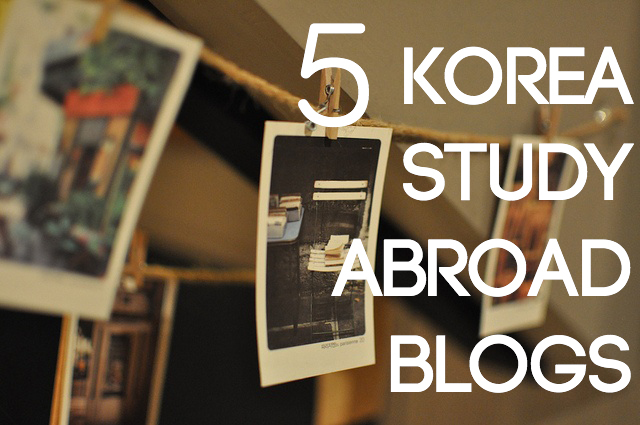 For most of us who study abroad in Seoul, we are full of anticipation before, caught up in the moment during, and reflect on how we've changed after. Emerline's intimate journal posts on her study abroad experience are extremely touching and relatable. Few bloggers let us in that far into their world. I've mentioned to her before that I love reading her blog on a rainy night with some hot tea beside me. This blog is the ultimate comfort read. I followed in her footsteps and went to Café Oui in Hongdae. It feels exciting yet strange to have read about a place and then actually sitting in it. Jamie Liew has got to be the cutest blogger ever. Not only is she gorgeous but her personality shows through in her posts with the use of cute emojis. Reading about her experiences always makes me laugh because she includes the randomest and funniest things. Why is her blog the "Full Experience"? Because she has so many posts about Korea...LIKE A LOT so she has experienced almost all of it (I'm quite envious). It's a great guide for when you're writing a list of things to do in Korea. You can read through her very entertaining experiences for some ideas. I still have a lot to put on my bucket list. Yoora is a dear friend I met while studying abroad and I just had to include her blog in here because I'm such a good friend (hur hurr jk). But really she has some great straight forward content on our experiences in Seoul (and her current experiences without me T_T). So If you want to read up on what we did together or follow her new adventures then I suggest you check out her posts because I will be forever behind on my Vlogs.